Cpl Floyd W. Nicholson, son of Mr. and Mrs. Ton Nicholson; husband of the former Dorothy Fowler. 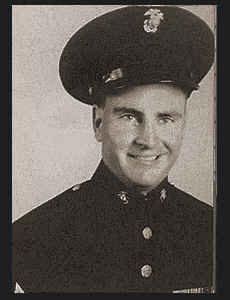 Entered Marines in Nov., 1942, trained in San Diego, Cal. ; served in Guadalcanal, New Georgia, the Solomons, the Marianas and Guam. Awarded Navy Citation and Pres. Unit Citation.